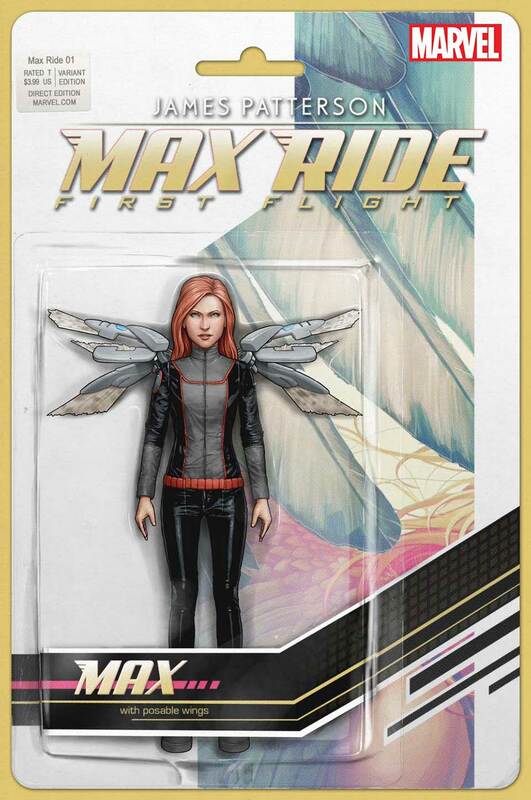 This April, international best-selling author, James Patterson teams with Marvel bring his hit young-adult series Maximum Ride to the world of comics for JAMES PATTERSON’S MAX RIDE: FIRST FLIGHT #1. But first, Marvel is proud to unveil the epic “Action Figure Variant” to the first issue from artist John Tyler Christopher! Follow the soaring adventures of teenage girl Max and the “flock” – Fang, Iggy, Nudge, Gasman and Angel. They’re a group of ordinary teenage kids – only they are part human and part avian! The product of genetic tampering that has given them extraordinary abilities, these six teens lives quickly morph into a living nightmare as they try to escape their creators and defend themselves from the deadly ”Erasers”. 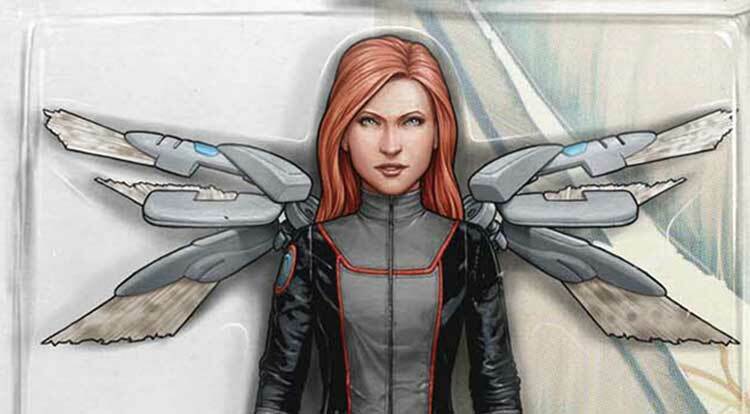 As Max uncovers the truth about her origins, she’ll discover her true calling – saving the world! Fans can get their hands on this hotly anticipated cover at their local comic shops on April 8th. A bold new chapter is about to begin. Be there as the fantastic world of James Patterson comes to Marvel Comics next month in JAMES PATTERSON’S MAX RIDE: FIRST FLIGHT #1! RETAILERS: Place your order for the John Tyler Christopher Action Figure Variant using Diamond Code DEC148729.